Tigo Tanzania launched a new 4G Long Term Evolution (LTE) technology with 42Mbps speed which is 5 times faster than its current 3G technology, making it the fastest internet connection available in the country. The LTE has the capacity to efficiently transfer large amounts of data and accommodate more applications such as video conferencing, high definition content, video blogs, interactive games and video downloads on social networking sites. Launched on 24th April 2015, the 4G network covers Masaki and Mlimani city areas within the city of Dar es Salaam; however Tigo aims to cover the country by and large by August 2015. Tigo Tanzania interim General Manager Ms. Cecile Tiano said at the launch that this initiative demonstrates the company’s commitment to the digital lifestyle transformation and its leadership in delivering cutting edge technology and innovation in the telecom market of Tanzania. Tigo had also announced plans to invest US $120 million in 2015 on its network expansion and improvement which includes scaling up its 3G sites and fibre network countrywide to make the internet accessible to more users. Till now the company has 500 network sites and plans to double this by 2017. 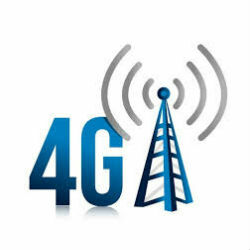 Until now 4G in Tanzania was provided only by Smile, who launched Africa’s first 4G LTE broadband internet service in Tanzania, in March 2012. Vodacom, one of the four major mobile network operators in Tanzania together with Tigo, Airtel and Zantel, was in the process to launch 4G mobile broadband in Dar Es Salaam in 2013.